ויבאו מרתה - And they came to Marah (שמות טז:כג): One must know and believe that Hashem yisborach sends bitterness in mercy and throws all of a person's sins to His back. He doesn't send the sinner bitterness in accordance with what he might deserve, but only what he can handle. And, this is what happened after the splitting of the Sea of Reeds as it's written, "And they came to Marah, and they couldn't drink the water because it was bitter." At this place Hashem made a judgement on Israel, and then tested her. This was such because the whole point of a test given to a person who has started to come close to Hashem - he must first suffer bitterness that is due to him... And therefore, Hashem certainly will not send bitterness in accordance with one's deeds, because He is an aspect of "All the plague that I made in Egypt." He is only here to heal us with mercy with a little bit of bitterness according to what we can handle, "Because I am Hashem your Healer," and He will certainly heal you appropriately. It is truly amazing how much Hashem loves us. Even after we sin He doesn't even consider it completely, and only punishes us a little bit. This is because of what the tzaddikim do for us as Hashem's consultants (look at LM 22). It may even be that the punishment is in itself healing. The ikar is to know that the 'bitterness' isn't really so bitter. Everything is from Hashem for our benefit, and what at first appears to be bitter should be turned into simcha because of our awareness that Hashem is doing us a kindness through the little bit of suffering. 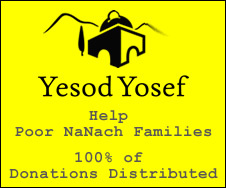 Boruch Hashem.